WARNING! ‘Tis the Season is not a standard greeting card channel Christmas movie. This documentary is a gritty, real-life look at what it takes to bring joy and cheer to thousands and thousands of holiday revelers! We went behind the scenes of Southern California's largest a capella Christmas caroling group, The Voices of Christmas, to document the triumphs and tears as they book holiday singing gigs at corporate parties, private events and in restaurants from Hollywood to Orange County. It's compelling, filled with emotion, raw, edgy and beautiful all at the same time. The pace the performers have is grueling and who knows if voices, tempers, and egos will last until Christmas? Fasten your seatbelts, this is a bumpy holiday ride! The soundtrack for 'Tis the Season! is available year round for your enjoyment. This makes a wonderful holiday gift for your music lovers. Download it today! 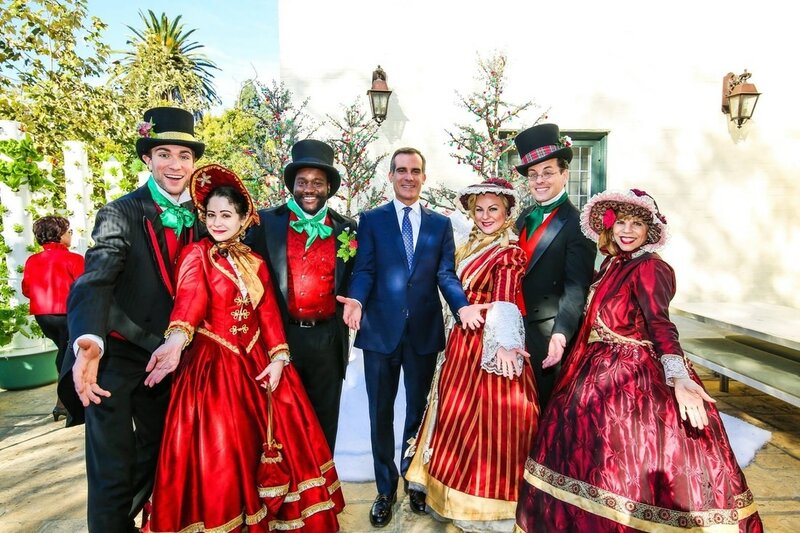 The Voices of Christmas singers performing at Los Angeles Mayor Eric Garcetti's home.